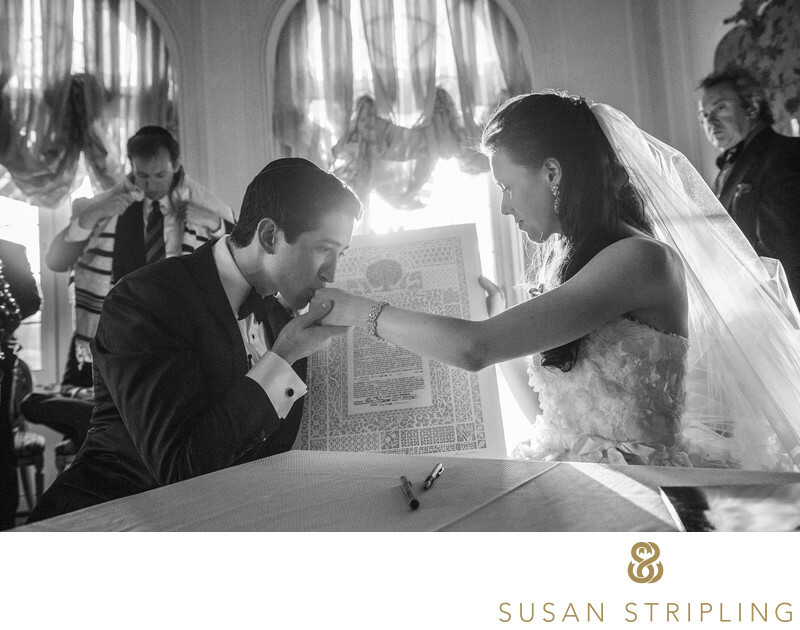 I love the moment during a Jewish wedding when the couple signs the wedding ketubah. The couple is surrounded by their parents, siblings, family, and friends and it’s a wonderful opportunity to document moments. As this often happens right before the form ceremony, it also offers a beautiful transition into the processional - something I always love! 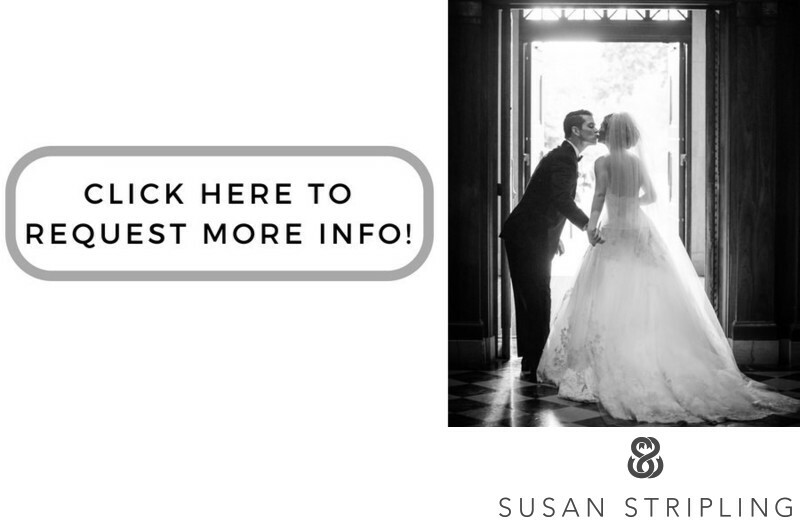 After the bride and groom signed their ketubah at this Pine Hollow Country Club wedding, the groom kissed the bride’s hand. It was a totally unscripted moment and when I saw it happening I moved as quickly and unobtrusively as possible to document it without interrupting it. I do not believe in re-staging or recreating moments but to capture them as they happen, in real time, with no interference. The lighting is fantastic in this image because I had proactively had a hand in the positioning of the table earlier in the day. As wedding photographers we don’t always get to do things like move tables or change the layout of spaces but I had asked the bride and groom if they minded having their backs to the window during the ketubah signing and they agreed to let me rotate the table. 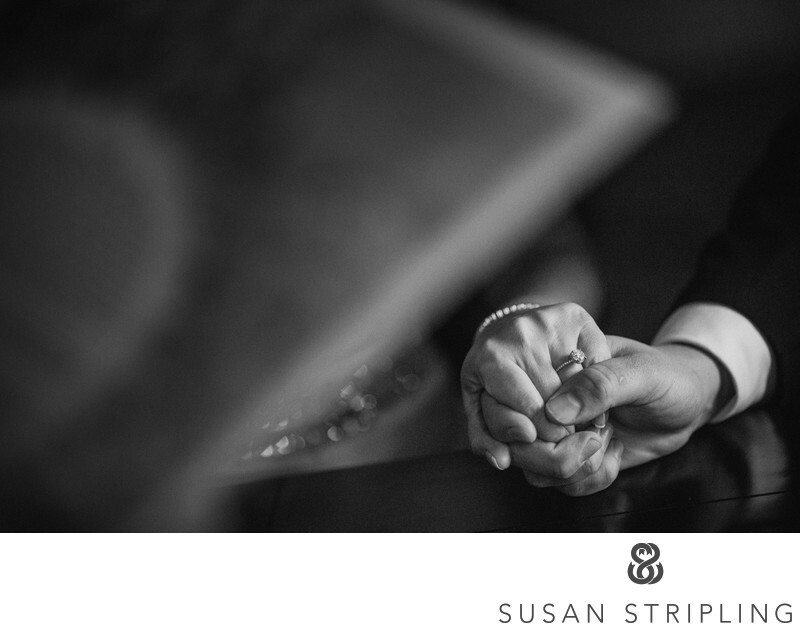 This ensured that when the ketubah ceremony began the bride and groom would be in exactly the right position for beautiful light when the moments developed! Keywords: East Norwich (24), long island (24), Pine Hollow Country Club (69). 1/160; f/4.0; ISO 3600; 32.0 mm.